The Cowboys were under dogs last and covered in their victory. This week the Cowboys are again home dogs at +3. They have covered the spread in 4 straight games. What are your thoughts on last week’s New Mexico game? A school-record seven take aways. Pretty much sums up the game. The offense took advantage of short fields and, overall, the Cowboys took care of business. The MVP was New Mexico, meaning that the Lobos went away from its triple-option offense and tried to throw the ball. Granted, Wyoming took advantage of it and several guys played well. But the Lobos are not a passing team, and I think they out-thought themselves in trying to be cute, or thinking they could win a game throwing the ball so much. The junior strong safety continues to play like the preseason MW Defensive Player of the Year. Two interceptions last week and five solo tackles. He’s lived up to expectations, and then some. He will need another big game against Colorado State. What does Wyoming need to do to win? Continue to play good defense. Forcing seven turnovers is unrealistic, but in the one game this season Wyoming didn’t force a turnover, it lost at Boise State. At very least, it must win the turnover battle and not allow Colorado State senior quarterback Nick Stevens to get into a rhythm. Wyoming must pressure him, hit him, and if possible, sack him. Obviously, just an incredible performance from the Wyoming defense. There’s some luck required to force seven turnovers, but it’s clearly not all luck – especially the way Wyoming’s defense had been forcing them this year, Boise State game notwithstanding. I think it’s important not to extrapolate too much from Wyoming’s 42 points, given the field position advantage and the run-game struggles, but the passing game did take a step forward, and Austin Fort could be a difference maker. I started to give it to Fort, but it would be ridiculous to not choose a defensive player. Wingard had two picks and was named the Mountain West Conference defensive player of the week. He also was listed on Pro Football Focus’ national collegiate defensive team of the week. 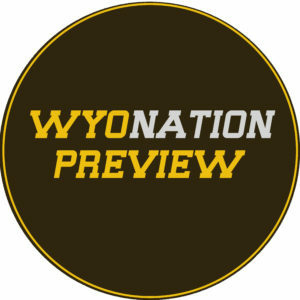 The true freshmen is expected to return to the starting lineup from a meniscus tear, and while it’s not like the O-line has been dominant this year, this will at least end a streak of five straight games in which Wyoming debuted a new O-line combination. Wyoming’s best running performance, in fact, came with the lineup of Wallace/Rush/Harris/Jackson/Velazquez against Hawaii. Wyoming needs to score three offensive touchdowns. I know Wyoming’s defense is good, and it might be good enough to slow the Colorado State offense, but I don’t know if it’s going to be good enough to win this one single-handedly a la Utah State and New Mexico. Wyoming’s offense needs to contribute as much as it can. CSU has the best offense in the conference in yards per game but in terms of points allowed, the best defense the Rams have played is sixth-place New Mexico. CSU actually put up fewer than the average number of points on the Lobos, as they did against seventh-place Utah State and eighth-place Air Force. Also, while Wyoming could use Conner Cain or Sidney Malauulu or Ryan Cummings or Shiloh Windsor or Antonio Hull, the Cowboys are as healthy as they’ve been all year per Craig Bohl, and another week of healing for Youhanna Ghaifan could be huge. I underestimated last week how much a still-not-100% Ghaifan could change things. Also also, Wyoming hasn’t lost a regular-season conference game at home since the last time it hosted the Rams. Wyoming 24, Colorado State 20. Dominating win for the Cowboys. That was a much needed win for the Cowboys who are marching towards a second consecutive post season berth. New Mexico made a lot of mistakes and the Cowboys made them pay for every single one. Bob Davey mentioned post game that it was the Cowboys sitting in the locker room last year sulking about being soundly beaten. This year the Cowboys got their revenge and completely shut down the Lobo rushing attack while forcing Lobo quarterbacks into five interceptions. Good day all around. They did absolutely everything they needed to in order to make this game lopsided. Forced many turnovers, held the Lobo offense in check, and gave the struggling Cowboy offense some great field position and momentum to carry through the game. Solid effort from all eleven on the field. Carl’s going to need to have a big day to slow down Nick Stevens and the Ram offense. The Cowboys are playing very good defense right now and they’ll need to be hitting on all cylinders to win this game. I’m not convinced the Pokes are fixed on offense, or even remotely close, but if the defense does its job then perhaps the Pokes win this game. Carl’s on quite a tear right now, would like to see more of that. The Cowboys need to score points. Colorado State is capable of scoring a lot of points. I’m confident that the defense can keep them in check. They have a lot of weapons at their disposal behind Nick Stevens. Dalyn Dawkins and Michael Gallup will need to be the focus of the Cowboy defense in order to have any kind of success. That said, we’re now in Wyoming’s ninth game and they still have not found their running game and have not been real consistent in the passing game. Both of those things will need to be improved to get a win as well. A very good Homecoming win for Wyoming in a blowout victory that no one saw coming. It was good to get the taste of last year’s New Mexico road defeat out of the Pokes mouth. The Mountain West, Mountain Division title race marches on. The entire defense gets the game ball for forcing a school record 7 turnovers. CSU ranks 10th in the MW in passing defense allowing 248.9 yards per game. Allen will find his rhythm against the Little Bo Peep defensive backs. The Wyoming path to victory is clear. Don’t turn the ball over on offense and have the defense force turnovers setting up the offense with short fields. For the 100th time running the ball would also help but I’m not holding my breath. I thought it was fun. The Wyoming defense has been fun to watch and the offense was very efficient and took advantage of the short field opportunities. Hopefully the offense found something they have been missing. The defense was fantastic, I get it, but so was Josh Allen. Allen finished the game with 5 touchdowns and his throws were money all game long. It started on the first play from scrimmage that went for 6 but was called back. Allen threw guys open and trusted his receivers and for the most part they responded. I think the defense will play a good game and keep the Pokes in it like they have all season, but in order to win the offense is going to need to score points. It all starts with Allen; he needs to get it done with his arm and legs. 7 turnovers certainly would go a long ways. In all seriousness, the only game the defense didn’t cause a turnover was the Boise game and it felt like that is all they were missing from winning that game. They need to win the turnover battle and score more than 24 points.